Was born November 15, 1936 in the town of Berdyansk (Dnipropetrovsk region, Ukrainian SSR - now the Zaporozhye region, Ukraine). Russian scientist in Physics, Member of Russian Academy of Science, Professor. In 1959 he graduated from Dnepropetrovsk State University (Dnipropetrovsk National Universty Oles Honchar). In 1963 he received the post-graduate degree at P.N. 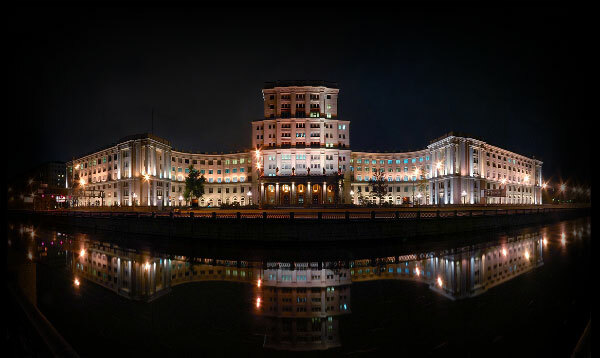 Lebedev Physical Institute of the USSR Academy of Sciences (theoretical department). In 1963 he defended his thesis "On the theory of amplification of low-frequency waves in semiconductors and dense plasma in the presence of drift", his scientific advisor was V.L. Gilzburg (Nobel Laureate in Physics, 2003). In 1972 Vladislav Ivanovich defended his doctoral thesis "The theory of propagation, amplification and generation of acoustic waves in semiconductors" and a year later, in 1973 he was given the title of professor. In 1990 he was elected as a corresponding member of the Russian Academy of Sciences and in 2006 he became a full member of the Russian Academy of Sciences in the Department of Information Technologies and Computer Systems Institute RAS ( Instrument-making speciality). From 1995 to 2015 V. I. Pustovoit was the director of the Russian Academy of Sciences' Scientific and Technological Centre of Unique Instrumentation; the member of the Bureau of Nanotechnologies and Information Technologies department; from 2008 to 2013 he headed the Department of Optoelectronic devices (RL3) at Bauman Moscow State Technical University. Today he is the chairman of the Dissertation Council D 002.135.01 at Scientific and Technological Centre of Unique Instrumentation, the Russian Academy of Sciences. V.I. Pustovoit ia a specialist in the field of solid state physics, general relativity theory, acoustoelectronics and acoustooptics. He first proposed the idea of the possibility of using a Michelson interferometer to detect gravitational waves (1962). This idea is the basis of unique projects - in the US (LIGO), Japan (TAMA), France, Italy (VIRGO), Germany and the UK (GEO 600). In the general relativity theory he solved the problem of the of a gyroscope precession in a centrally symmetric rotating Earth's gravitational field, which was included in the textbook "Theory of Field" (L.D Landau, E.M Lifshitz). Together with Yu.V. Gulyaev he proposed the idea of using surface acoustic waves in electronics, which was the basic idea of acoustoelectronics and a section of solid state physics. In the early 60s I.A. Viktorov, Yu.V. Gulyaev, V.L. Gurevich, V.I. Pustovoit found the amplification effect of the ultrasonic waves in semiconductor and semiconductor - insulator sandwich structures with current carriers drifting through them. V.I. Pustovoit and his school's fundamental research led to the development and creation of a family of spectrometers of infrared, visible and ultraviolet ranges with unique specifications. V.I. Pustovoit is twice State Prize Laureate of the USSR in the field of science (1974, 1984) and twice State Prize Laureate of the Russian Federation - in the field of science (1993) and in the field of science and technology (2006). He trained 9 doctors and 25 candidates of sciences. He is the author and co-author of over 370 scientific papers, author's certificates and patents, a member of the editorial board of the journals "Physical bases of instrumentation", "Achievements of modern radioelectronics", "Electromagnetic waves and electronic systems" and "Journal of communications technology and electronics".